Italian carmaker giant, Ferrari, unveiled its newest car, the Ferrari F150, which will make its debut at this year’s Formula One World Championships. Ferrari unveiled its latest technology last Friday at Maranello, as part of an event which was broadcast live on RAI 2 and also at Ferrari.com. The name “F150” pays tribute to one hundred and fiftieth anniversary of the Unification of Italy, as this year marks 150 years of Unification of Italy. The latest Ferrari beast has a strategically placed tricolor flag and will therefore have even more strings attached to it. The car will be entrusted to Fernando Alonso for the opening round of Formula One World Championship at Bahrain Grand Prix. 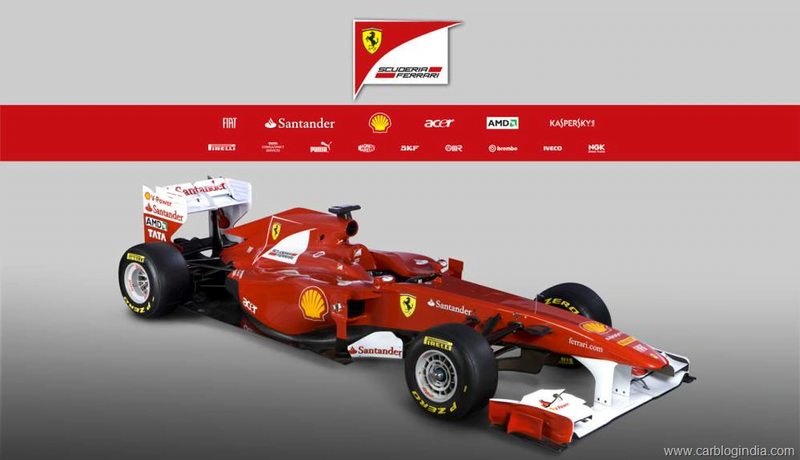 The logo of banned cigarette manufacturer Marlboro is replaced by the Scuderia logo. Besides replacement of the logo and addition of the Italian tricolor, minor changes have also taken place from the technology point of view. There is a new hydraulically controllable rear wing, and the air intakes are now smaller. KERS is back on the Ferrari F1 car this season. The tyres have been changed from Bridgestone to Pirelli, and that’s something that all the teams will have to do this year. We hope Ferrari manages to erase the memories of last year and come back strongly to lay claim on this year’s title.